In conjunction with The Gatherings Concert Series, WXPN late-night program Stars End will celebrate its 40th anniversary with a live broadcast of the Robert Rich Sleep Concert. The performance is taking place at The Rotunda on Sunday, June 4th from Midnight to 8:00am and will be simultaneously streamed in full over the XPN airwaves. 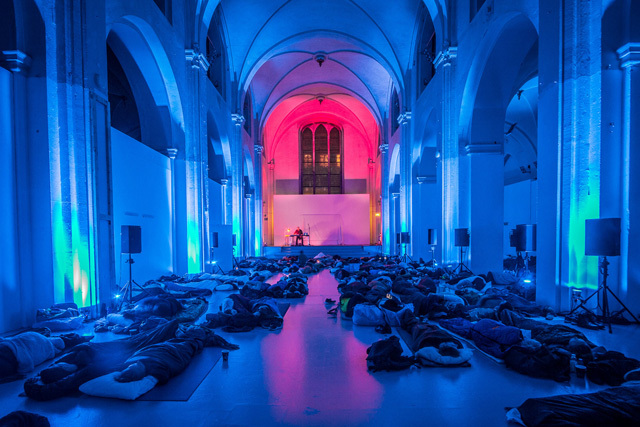 More information for the sleep concert can be found here. Tune-in to XPN at 88.5FM or stream the broadcast via XPN.org. Listen to an excerpt of a 1996 sleep concert below.